L-arginine alpha-ketoglutarate is a 2:1 salt formed from the combination of two parts arginine and one part alpha-ketoglutarate. This supplement is popular among athletes because it helps with the synthesis of amino acids, and the creation of nitric oxide, making more proteins available to the body during exercise cycles. L-Arginine is a type of amino acid that does work to maintain the integrity of the skin, joints, liver, and muscles. It also helps in maintaining good levels of blood sugar, hormones, and keeps the immune system functioning well. Arginine is one of the rare amino acids that is considered semi-essential because though the body can manufacture perfectly appropriate amounts of the acid to keep up to normal amounts, every once in a while it may be necessary to supplement it. Arginine is able to support the immune system through its ability to produce T-cells and it is also supportive of the liver in that it is able to rid the body of toxins. Urea is needed in order for the body to expel ammonia through the urine however; urea would not be manufactured without arginine. Arginine is also helpful in releasing insulin when necessary and in creating and facilitating the creation of important hormones. Arginine helps to stop the restriction of blood flow throughout the body. It allows blood vessels to relax rather than be constricted, dilating them so that there is better flow of oxygen throughout the body. Improves Delivery Of Nutrients To The Muscles. Extended Increase In Nitric Oxide Levels. 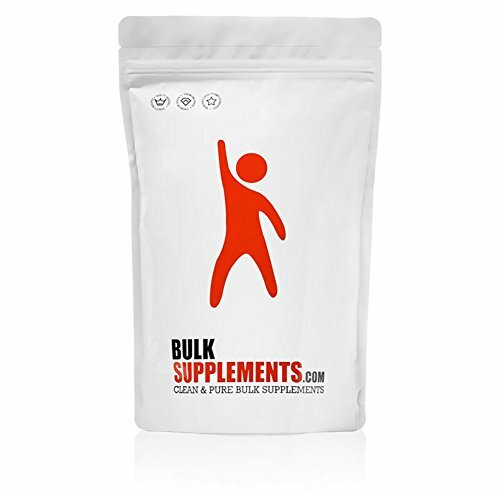 If you have any questions about this product by BulkSupplements, contact us by completing and submitting the form below. If you are looking for a specif part number, please include it with your message.